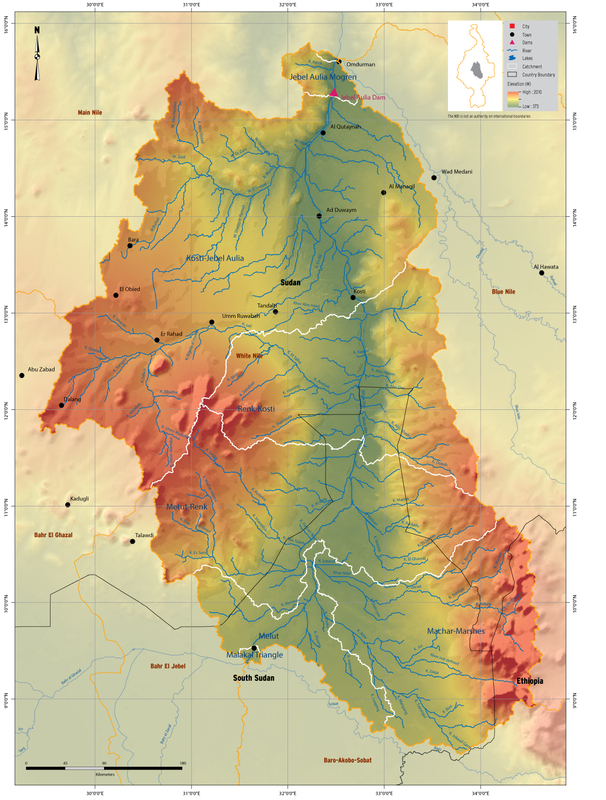 The White Nile Sub-basin originates at the confluence of Bahr el Jebel River and Baro-Akobo-Sobat River above Malakal. The sub-basin is shared by South Sudan, Ethiopia and Sudan. Tributary inflows are sporadic and small and flood plain storage results in delay of outflow and increased loss to evaporation. The average annual rainfall in the sub-basin is 754mm and the average annual potential evapotranspiration over the sub-basin is 1983 mm. The Sudd wetland provides the base flow component and the Baro-Akobo-Sobat basin contributes the seasonal component.